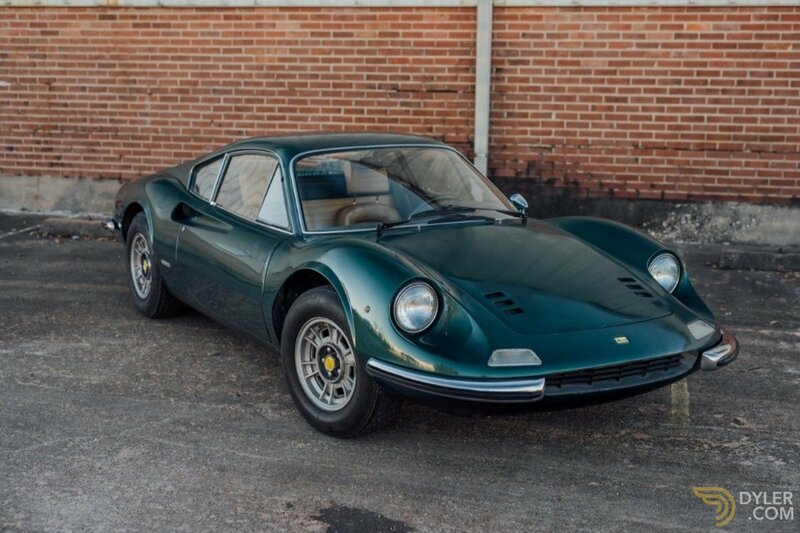 European Delivery *Please note that this vehicle is titled 1972 One of Only 35 Dinos Ever Finished in Verde Pino Metallizzato, Desirable European Specification Originally Delivered to Italy, One Owner for Over 35 Years, Offered with Books, Tools, and Extensive Records/History File, Documented by Ferrari Historian Marcel MassiniCompleted at the Ferrari factory in March 1973, this desirable European-specification Dino 246 GT was originally finished in Verde Pino Metallizzato (106-G-30) with beige leather upholstery and equipped with Cromodora wheels, instrumentation in kilometers, and manual windows. 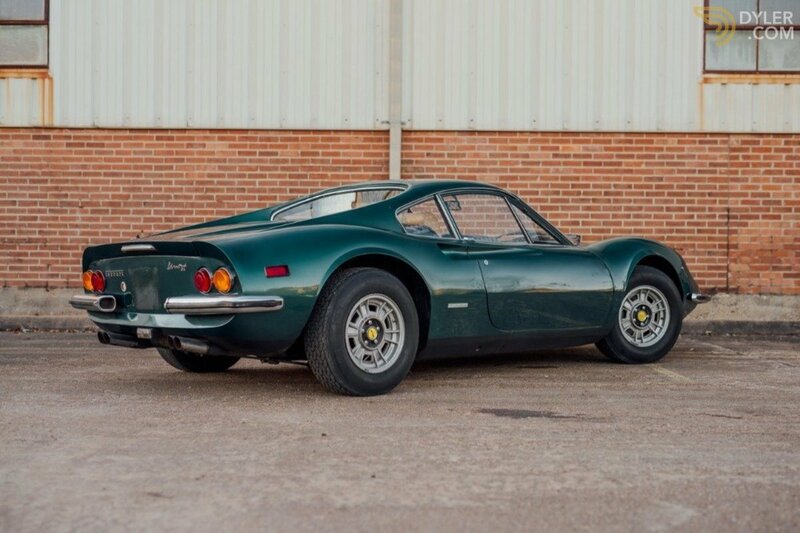 According to Matthias Bartzs definitive Dino Compendium, just 35 Dinos were ever painted in this elegant medium-green (Verde Pino) metallic finish. 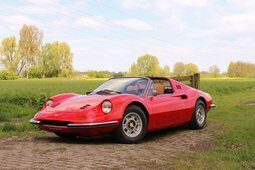 The Dino was delivered new to the official Ferrari distributor M. Gastone Crepaldi S.a.s. 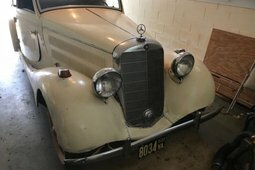 in Milan and sold to its first owner, a resident of Como. 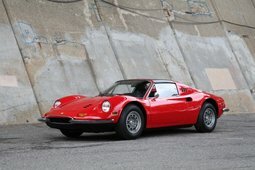 In 1976, the 246 GT was exported from Italy to the US, where it was sold to Pamela Quigley of Dana Point, California. 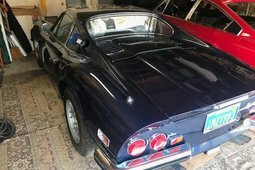 The Dino remained in Ms. Quigleys care for over 35 years. 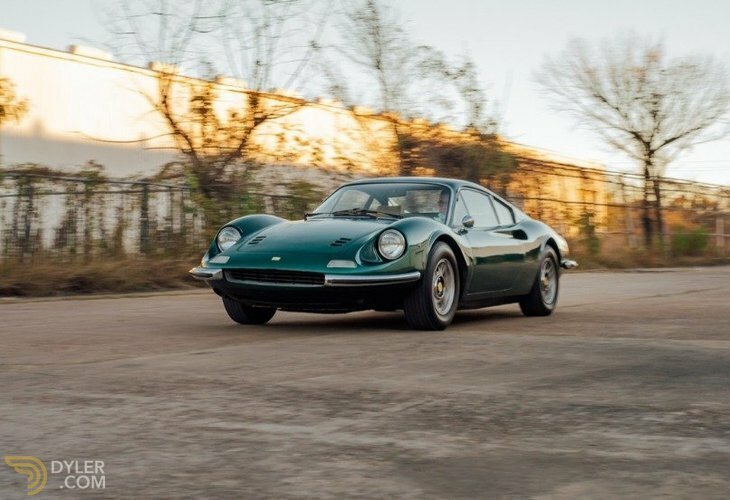 By the late 1980s circa 1988 the Dino was last serviced, and road tested at 78,229 Kilometers (48,609 Miles) by European Auto Restoration, Inc in CA. 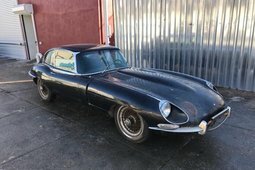 Shortly thereafter the car received its final registration in 1990 before it was tucked away and forgotten in a CA garage. Discovered nearly twenty five years after being stored away. 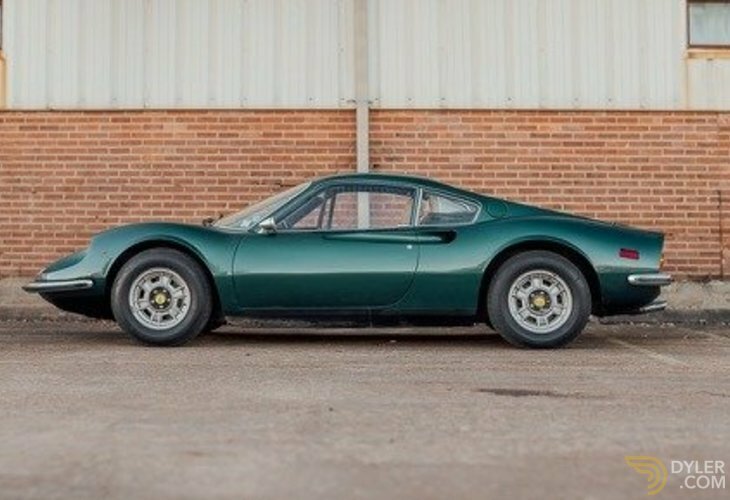 Some of the original factory applied green paintwork is still present in the jambs and likely on some body panels, with a few minor areas of blending and touch-up evident. 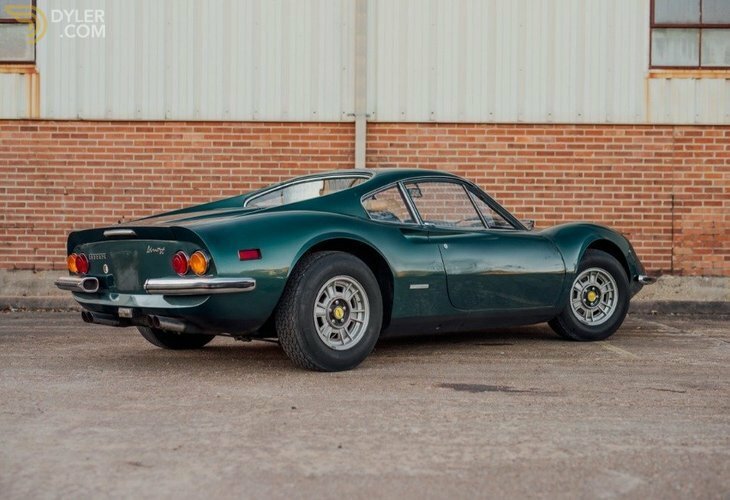 The only deviations from its original appearance are the US-specification side-marker lights on the rear quarter panels presumably added when the car arrived stateside in the mid-1970s. 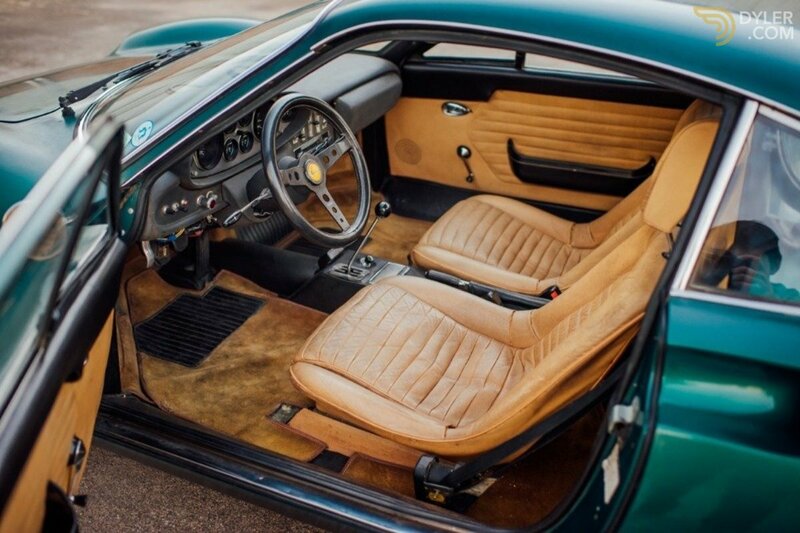 The interior retains the factory-original beige leather, and the body number (1272) is stamped on the rear trunk hinges and the coolant reservoir-mounting tab and is also written in chalk on the rear trunk panel. 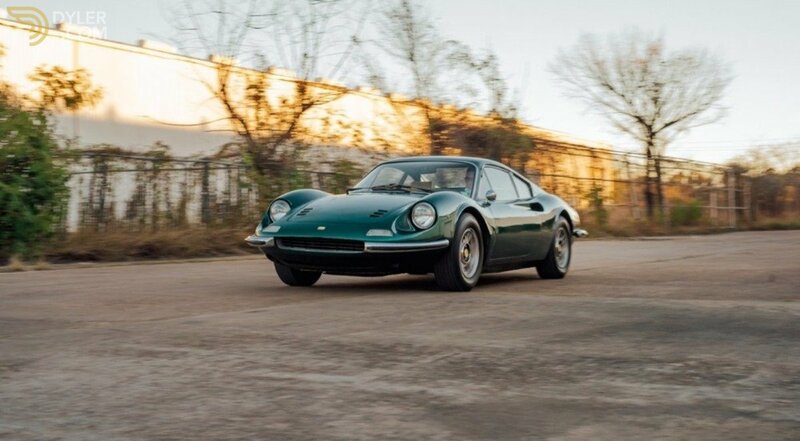 As would be expected of such an undisturbed example, the Dino retains its original owners manual and tool roll.Attesting to the cars fascinating provenance is an extensive file of documentation that includes service and shipping records, an original Bill of Sale, old California registration documents, and a history report compiled by Ferrari historian Marcel Massini. 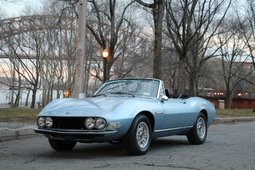 The car itself possesses many special details that speak to its transcontinental journey, from a sticker on the tail panel from Frigerio Gomme a Milan-based tire store to the 1970s-era blue and yellow California license plate hung over the original Italian registration. 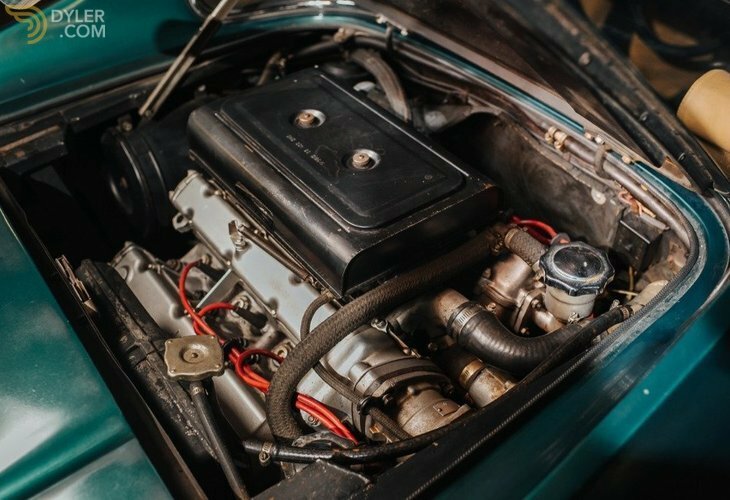 Given its rare factory color scheme and well-documented history, this European-specification 246 GT is a deserving candidate for either a high-point concours restoration or, for the preservation minded, a sympathetic mechanical recommissioning. 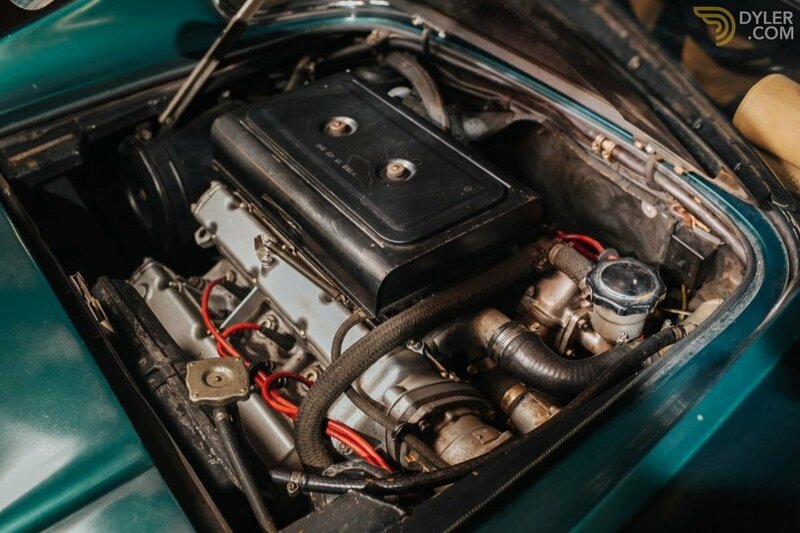 Upon its discovery the car was checked over and the engine started with, the car can be driven to be moved a short distance but will require a thorough service before its driven on the road. 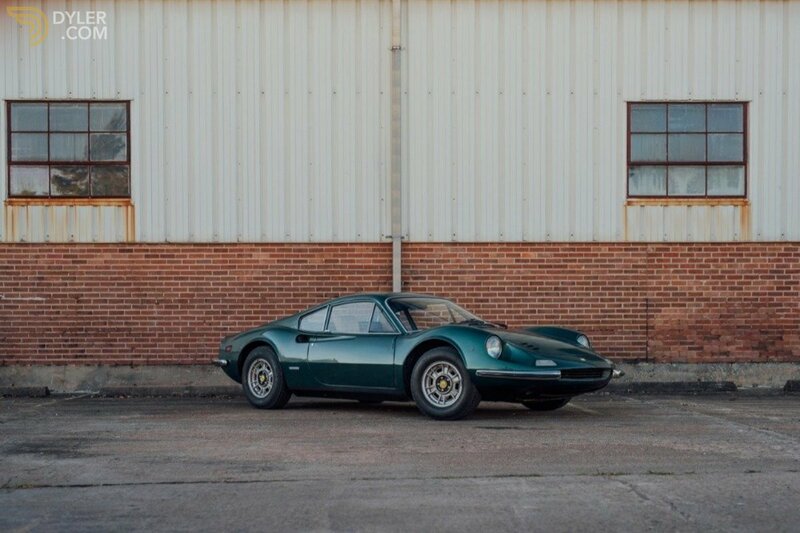 Whatever the future holds in store for this unique Dino, its current appearance is virtually guaranteed to draw a receptive audience wherever the car is seen. 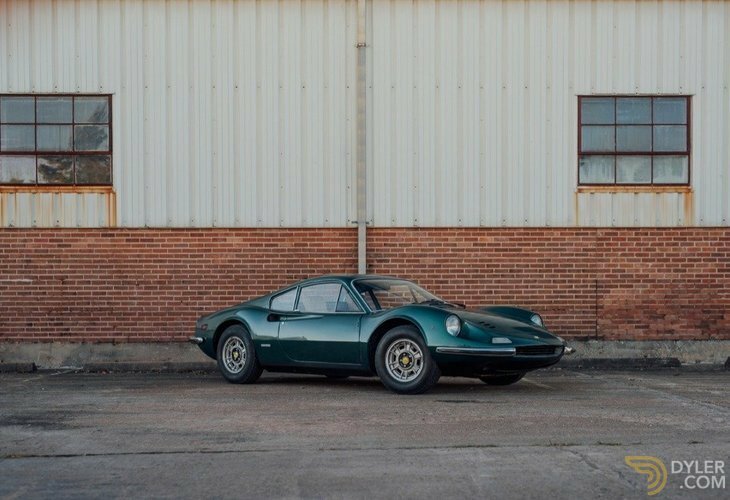 Unrestored Dinos do not come along very often, and with the passing years it is increasingly unlikely that very many wonderfully original examples will remain to be found. 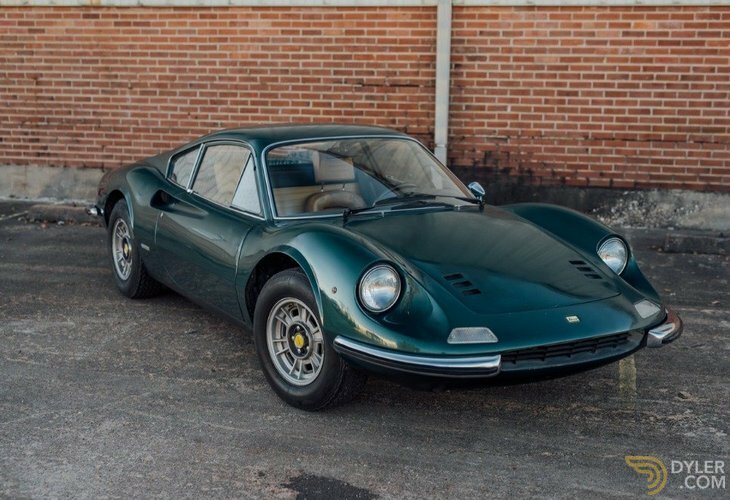 For the collector who has been searching for an essentially untouched 246 GT with a rare original color scheme and sporting European specifications, this example presents a great opportunity.